Senior Year is here. We are here to help. The Rowan County Crosby Scholars Community Partnership is a non-profit organization dedicated to helping students in public middle and high schools in Rowan County prepare academically,, personally, and financially for college admission and other post-secondary opportunities best suited to a student's needs, aptitudes and dreams. 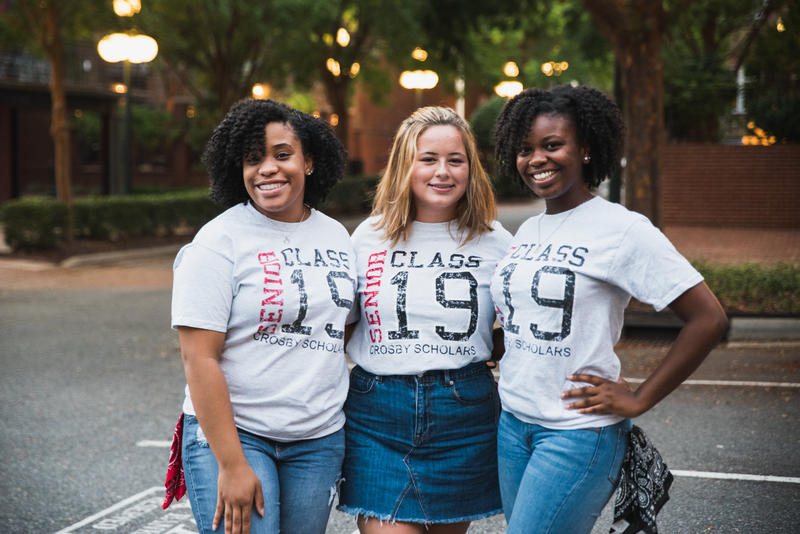 Rowan's program is modeled after the successful program in Forsyth County, which has a 25+ year history of providing academic training, financial aid and college access workshops, 1:1 advising and college tours. Our program launched in Rowan County in 2013. Crosby Scholars is here to guide Seniors through the challenges and celebrations of Senior Year. What is a Senior Advisor? Who are the Senior Advisors? Primarily, Senior Advisors will meet with their Seniors at their high school during the school day or during non-class time (ex: lunch). methods if the Senior needs assistance. Some meetings may need to be scheduled off-site but will always be in a public setting with WiFi access such as the public library. We offer a stipend for Senior Advisors based on their student caseload, though we do ask for a full academic year commitment. What does a Senior Advisor do? Interested in Becoming a Senior Advisor? We are currently seeking Senior Advisors; if you are interested in becoming one please click here and complete the interest form.